Less than 10 minutes drive from Edinburgh Airport, the Premier Inn is just off the M8 motorway. Edinburgh city centre is just 10 miles away and the commercial base of Newbridge is close by. Facilities include a Thyme restaurant and free on-site parking. 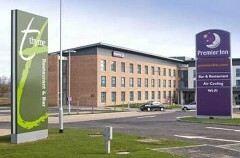 Book direct for the best Premier Inn Edinburgh Airport deals.